Sarah has always had an admiration for graphic design and advertising. She made it to Rethink via a winding road, with her start in the workforce as a sandwich artist. On the way, Sarah acquired her multitasking ability from a combination of work experience, from dealing with pre-caffeinated people, selling gym memberships, and mastering the art of wrapping triangle- shaped cheeses. After a couple of years in the customer service industry, she enrolled in BCIT’s Graphic Communications program and went on to join the Rethink production team as an intern, then as a freelancer, and eventually became an official Rethinker. 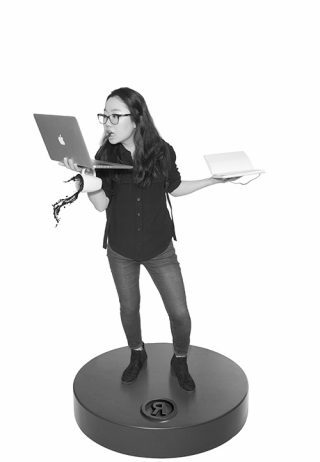 During her career adventures, Sarah has developed a love for typography, coffee, cheese, and olives.